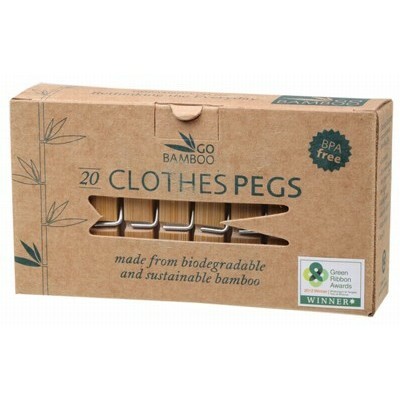 Go Bamboo Clothes Pegs are made from sustainable, biodegradable bamboo with a degradable steel spring, and packaged in a recycled cardboard box. Go Bamboo Clothes Pegs are an environmentally friendly and a sustainable alternative to plastic pegs. They are incredibly strong and durable in harsh UV conditions. Bamboo naturally contains very few tannins (unlike wooden pegs) so they won’t stain your light coloured clothes.